After the International Exposition in 1889, Paris had shown the world that it was a leader in terms of technological and artistic innovation and had positioned itself at the forefront on the road to the 20th century. 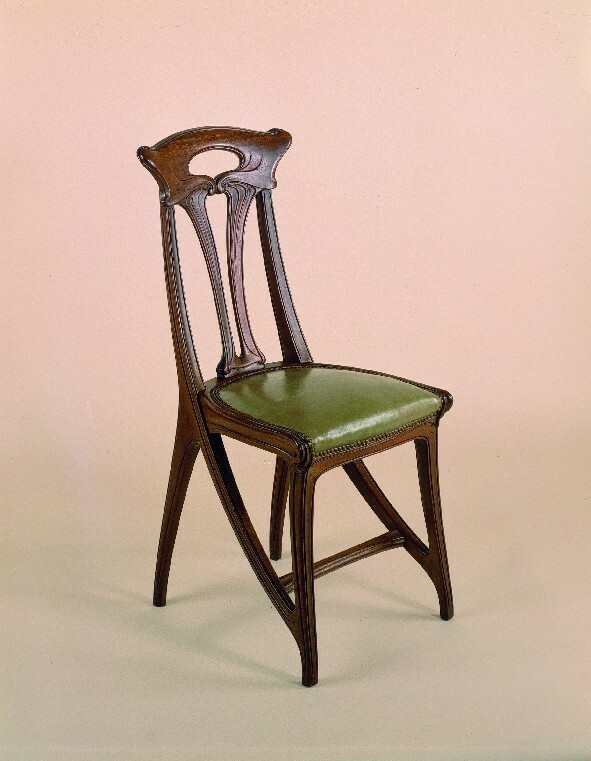 The most renowned Art Nouveau figure in Paris was the architect Hector Guimard. His Castel Béranger (1894-98) brought a new form of architecture to the city that resolved the idea of multiple housing in a unique way, designing floors in such a way that interior spaces could be illuminated by natural lighting and creating façades that combined materials and forms that were far removed from preceding architectural styles. When Paris once again displayed itself to the world with the International Exposition of 1900, Guimard's work spread throughout the city, because even though he did not participate in the exhibition, his entrance designs for the Paris Metro made his work visible to everybody who visited the event. For this work, the architect designed some mass-produced cast iron and glass pieces that adapted themselves to the needs of each station by using various combinations. His abstract language, whose basic forms were taken from the natural world, was to invade the city, to the point that it became known as "Le Style Métro." 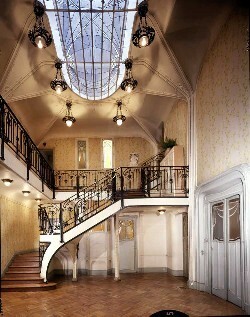 Another important catalyst for this new Art Nouveau style was the collector and gallery owner Siegfried Bing. 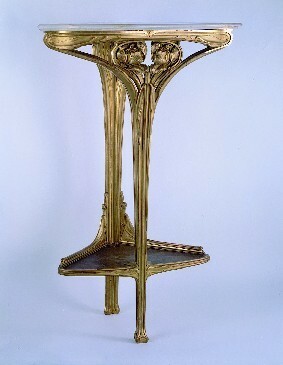 For many years, he had been responsible for popularising Japonaiseries and, from 1895 onwards, he also sold the new forms that were being applied to European and North American decorative arts from his shop in rue Provence, which went under the unmistakable name of "Art Nouveau", the term that was later adapted for the movement at an international level. Partly designed by Henry van de Velde, his shop displayed all that was necessary to decorate a modern home, such as furniture, lamps, sculptures, porcelain, jewellery, fabrics, etc. These pieces by Tiffany, Daum, Georges de Feure, Gaillard and Edward Colonna, amongst others, expressed the modernity of artistic industry creations, alongside exhibitions of paintings and sculptures. Bing was present at the Universal Exposition of 1900 and enjoyed great success with his own pavilion. 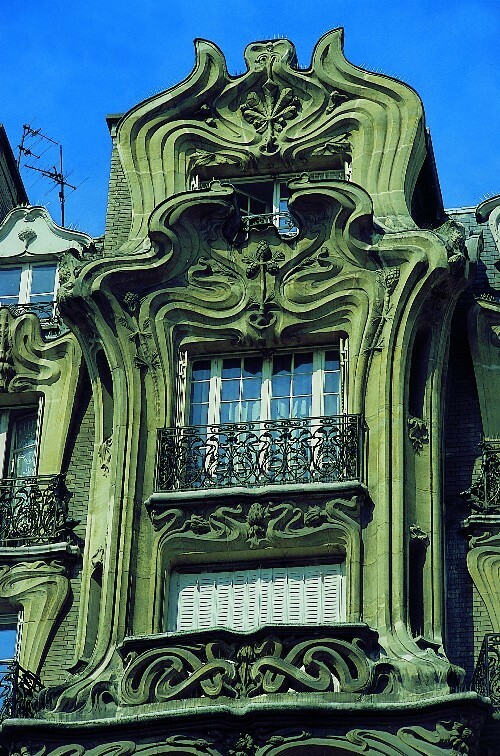 Amongst the monumental architecture that characterises Paris today, one can come across the traces of Art Nouveau architecture. Not only in the works of the aforementioned Guimard but also those of Jules Lavirotte, such as the house at Avenue Rapp 29 (1901), or the offices of Le Parisien Libéré (1905) at Rue de Réaumur 124, by Georges Chédanne, as well as the rich interiors that can be found in Maxim's restaurant, decorated by Louis Marnez (1900).